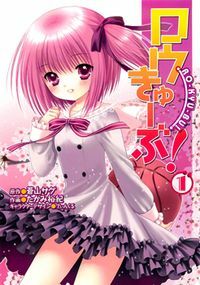 Yoruko thinks that the murder her brother committed seven years ago is a secret to only between them. But the sudden appearance of the victim's hairpin as a present during Ryuuichirou's birthday party makes Yoruko wonder if somebody else knows about their dark secret. From: Easy Going Scans When the Raven starts to sing, people die... An unstable world, a weak government... and Mafia's escaping from their sins... In order to reduce unpunished crimes committed by the mafia... A Strength was born... Its agents are merciless and they kill without hesitation. The Last Enforcement Organization known as Red Raven. Fushimi is a high-school student who also aspires to be a mangaka. Rin is a model who appears to be able to see the future. What will happen in the future? Motoba Hitachi has lived a boring high school life, until his kouhai invited him to a real-life simulation event of Incubate Castle, an online game they both played. But, what seemed like a harmless replication of the game turned out to be as real as it could get. Now, Hitachi must find allies to get out and survive this reality of a game. By a bizzare coincidence, Tsukune Aono has accidentally gotten himself admitted to a youkai acadamy, a school attended by monsters (youkai). Just when he thinks he'll run away from there, he meets the beautiful girl Moka and his mood turns ultra happy. However, she transforms into her true form when the rosary on her chest is taken off, she's a super vampire! 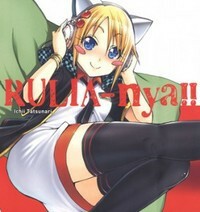 Rulia-nya!! 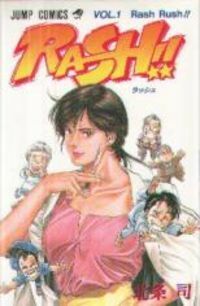 is a 4-koma series about a foreign exchange student Rulia and her everyday life with her classmates.